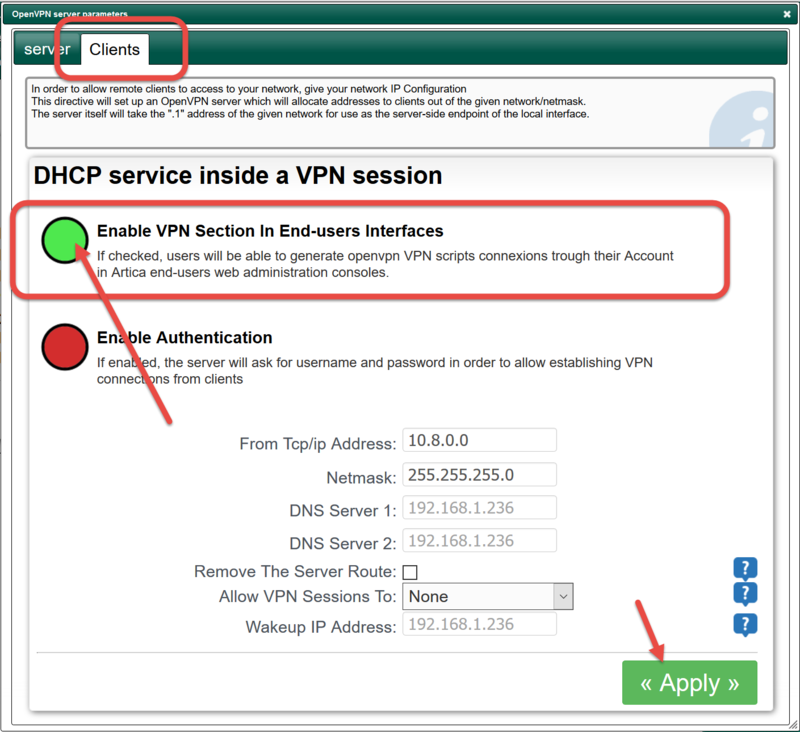 Home » VPN » Allow all users to retrieve their VPN settings. 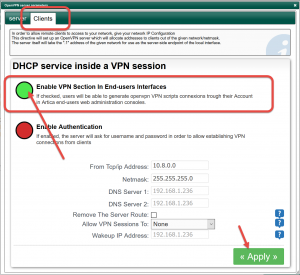 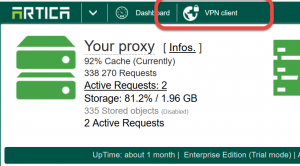 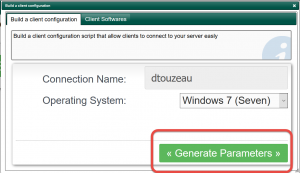 You can Allow users to logon on the Artica Console in order to retrieve their VPN settings. 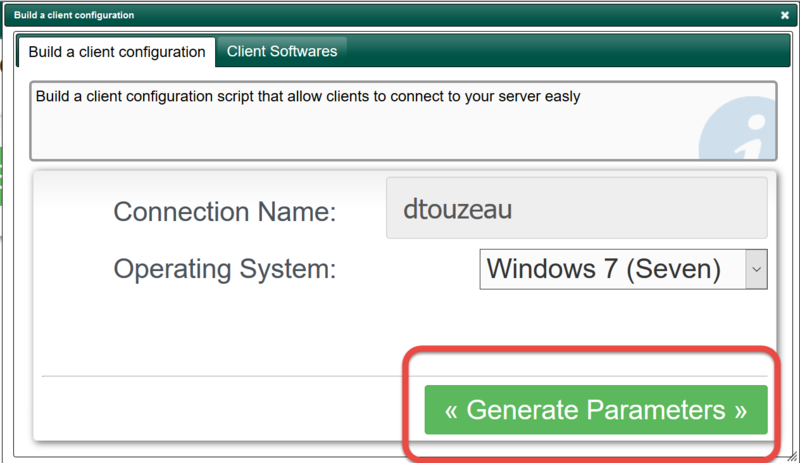 Click on service parameters tab. 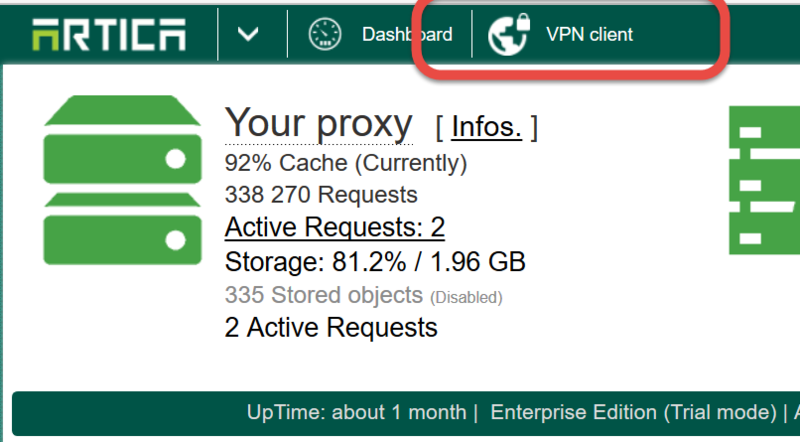 Click on Change Settings button. 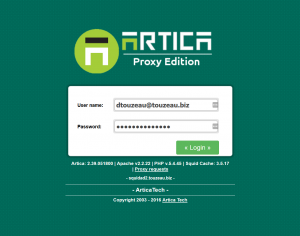 Logon on the Artica Web console as user.